- Special badge celebrating 125 years of St Johnstone F.C. I had never heard of Surridge before I bought this shirt and thinking about it, I don't think I've seen them since either. I am not 100% sold on the gold sections of this shirt. It is almost as if they were placed randomly on it, as they were worried that a plain blue shirt might not be exiting enough. Usually gold adds a touch of class to a shirt but in this instance I believe it just looks amateurish. Football was becoming more popular and although there were several local teams playing the sport, including Fair City Athletic, Erin Rovers and Caledonian (based at Perth Railway station) it was St Johnstone that became the club most associated with the town that gave the club its name. (In the Middle Ages, Perth was colloquially known as 'St John's Toun' because the church at the centre of the parish was dedicated to St John the Baptist. 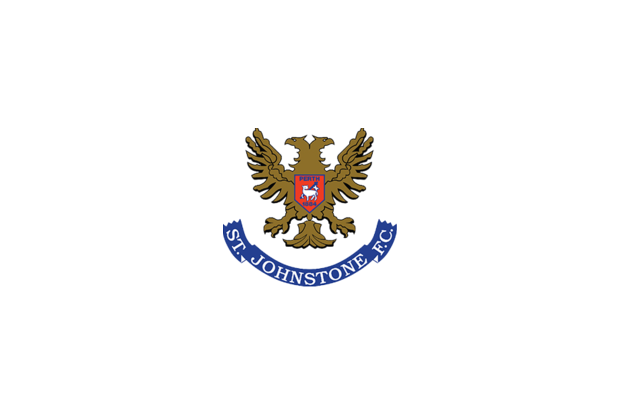 Agnus Dei (The Lamb of God), the symbol associated with John the Baptist, is a part of the St Johnstone club crest. ).